A color choice can tell a lot about a person and a lot about a room. There’s many things to take into account when picking out a color for an interior room to a house. Will the color stay in style for a long period of time? Will it make the room appear smaller or more spacious? Is it a cool tone or does it add a feeling of warmth to the space? It’s at My Color Store that finding the perfect shade of color is a thrilling experience. The shop recently reached out to OC Designs Online for a colorful custom eBay store design. Now shopping for color equipment at low prices is easier than making the final decision! 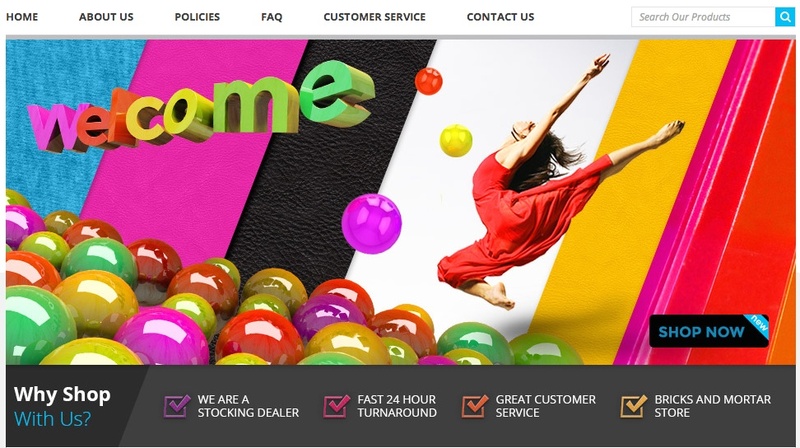 The welcome pane of this eBay shop design embraces color and creativity. A woman in a red dress dances across the screen while leaping into the welcome from the shop. At the top of the image is an information panel that introduces shoppers to the eBay store. They can skim over policies, FAQs, and reach out to customer service easily. The lower panel of the welcome pane is in two shades of grey. Multicolored check marks list out the reasons why it’s a good idea to shop at My Color Store. 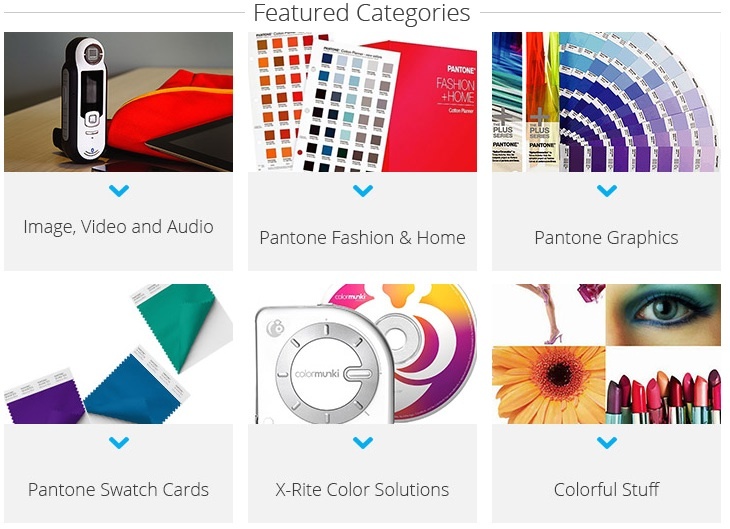 The midsection of this eBay store design is dedicated to individual featured categories. Each tab comes with a high resolution image to lure customers into wanting to see more. Online shoppers are visual shoppers so top quality pictures are a necessity. Below the photo is a category title and a blue triangular arrow. Either tab can be clicked upon in order to lead customers into finding more products behind that category title! The footer of this eBay shop design is all about putting specific products into the store spotlight. Customers have instant access to purchasing and viewing items from the main screen. Each tab has an image of the item, a brief description, a bolded price tag and a blue tab to “Buy Now.” The shop can place sale items in the section or simply introduce customers to top sellers or new inventory with the customized featured products area! OC Designs Online brings variety, fun and simplicity to shopping. An endless array of eBay templates allow a custom fit for any shop! Take some time to browse our portfolio of colorful store designs, and feel free to request a free quote. Also, don’t forget to find us on Facebook, follow us on Twitter and check out our Google+ Page!